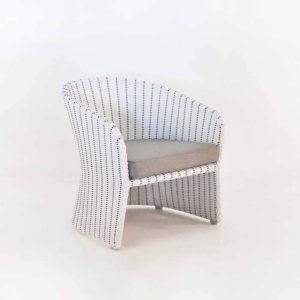 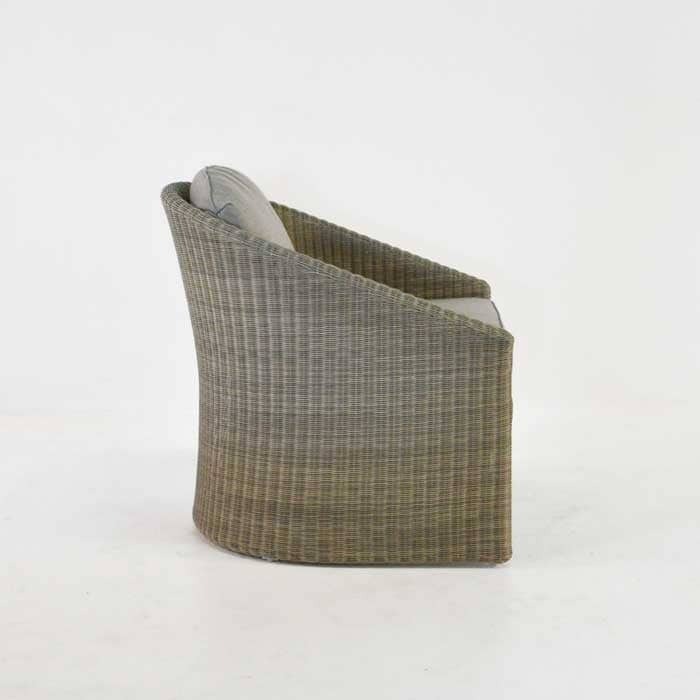 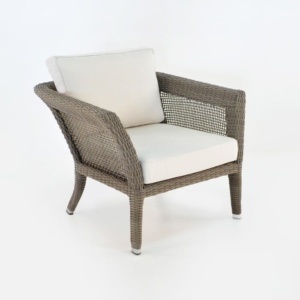 Just arrived, this wicker tub chair is light and ample to sit in, a perfect relaxing chair for outdoors. 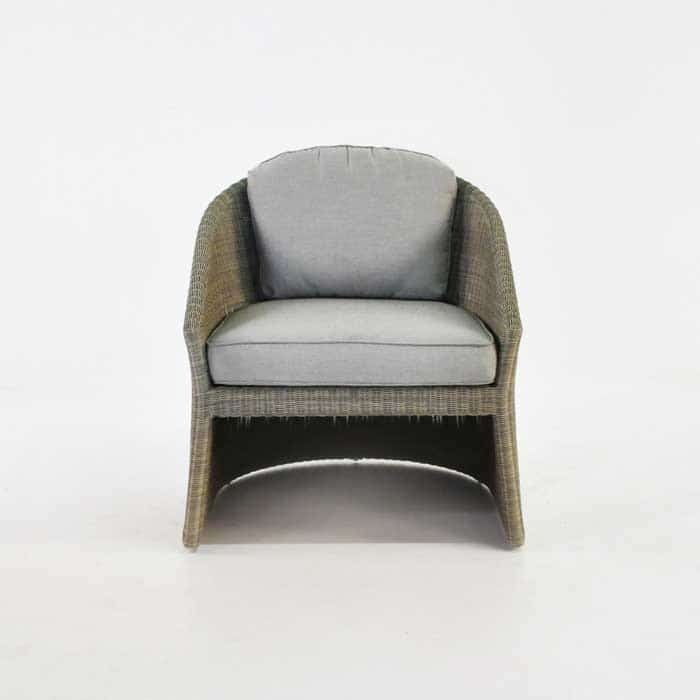 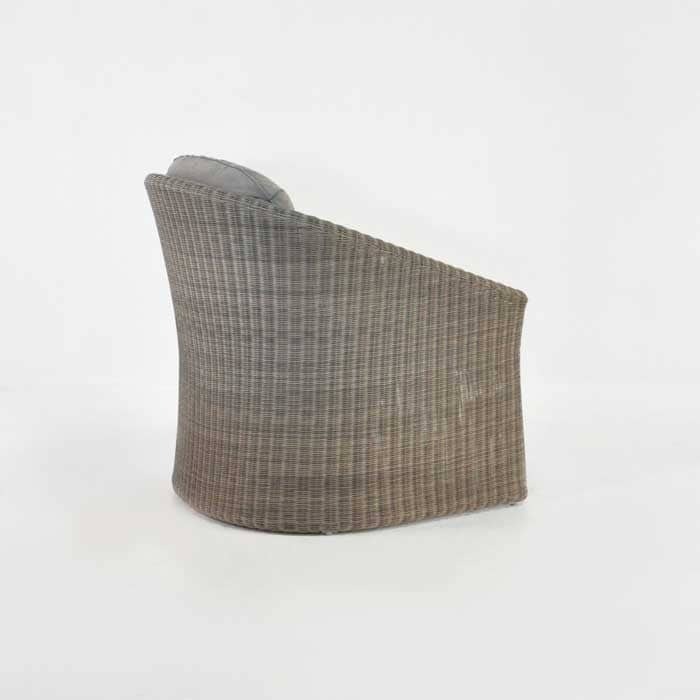 Use two around the fire pit, or as opposing chairs with your outdoor sofa in teak or wicker for a tasteful modern look. 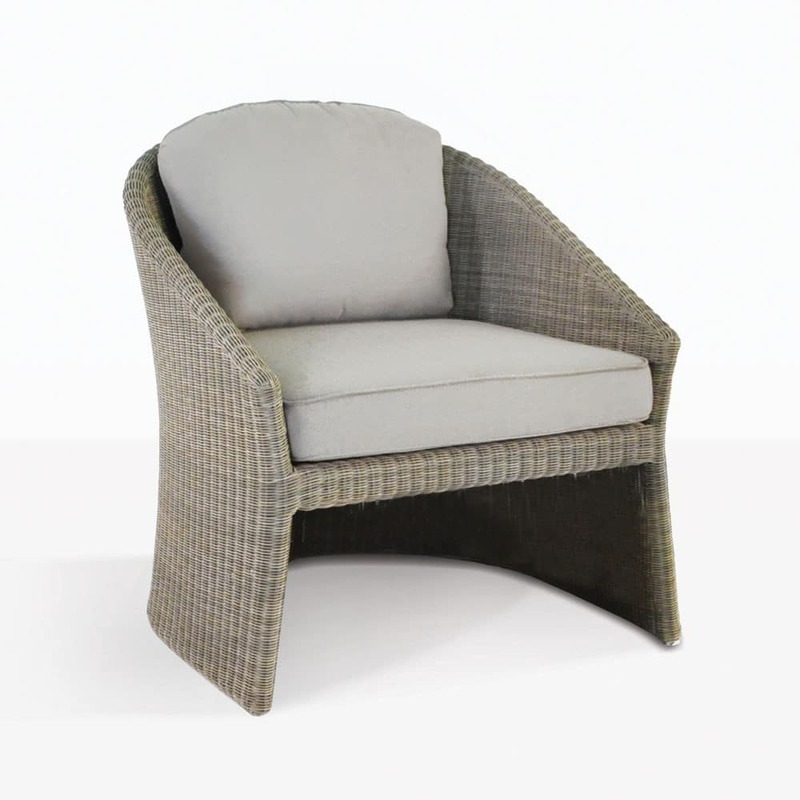 Comes complete with Sunbrella® seat cushion in quick dry foam.